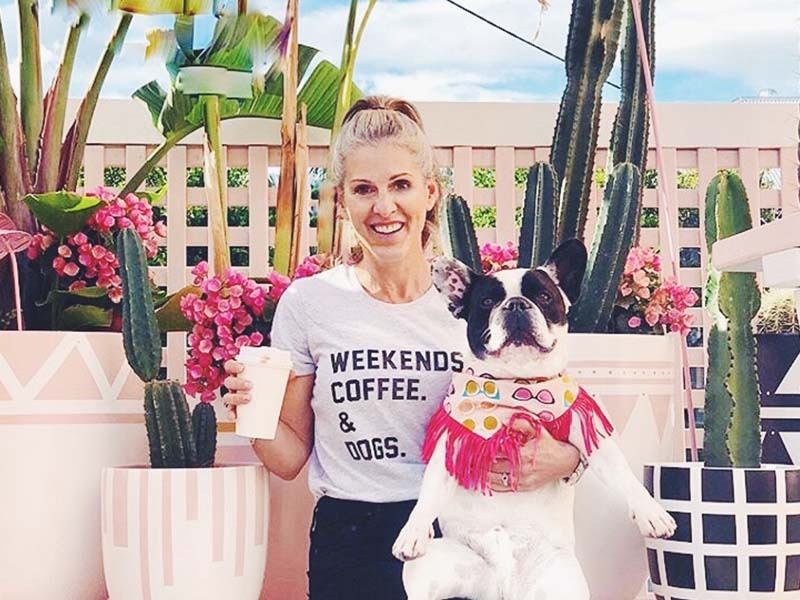 Recently we spoke with Emma, dog Mama and Founder of The Dog Mum – a Brisbane-based store that creates urban-style clothing and accessories for dog lovers including t-shirts, hoodies, jewellery and bumper stickers to display your proud pup ‘pawrent’ status. We chatted with Emma about her business, favourite holiday spots and all things fur baby. Holidaying with Dogs Question 1: First, please tell us a bit about your own dogs, Boss and Kora? The Dog Mum: Geeez how much time do you have, because I could talk about my fur babies all day! But in a nutshell, here’s a little about my Boss and Kora. Boss is my eldest fur baby and we’ve known him since he was just 2 days old – it was love and connection at first sight. He was born on my parent’s farm in Maleny (Sunshine Coast Hinterland) and is a purebred Kelpie. Boss is now 4 years old and is your typical male teenager! He’s ridiculously attractive and knows it too. I reckon he’d be captain of the footy team and a little too cool for school. He’s the life of the party, fearless, and inexhaustible. Bossy’s favourite game is cricket and he’s the best fielder there is… I reckon the Australia Cricket Team should contract him! We adopted our sweet Kora from RSPCA in July 2016 and absolutely won the lottery with her! I still remember laying in the hammock one Sunday morning looking through all the gorgeous profiles on the RSPCA website because we wanted a little brother or sister for Boss. The moment I saw Kora’s profile I just knew she was ours. I jumped up out of the hammock and ran to my hubby and showed him Kora. Half an hour later we were at RSPCA with Boss for a meet and greet (which went absolutely fabulous – Boss and Kora were in instant little team) and a few hours later she was home – and this time at her forever home. Kora is a Koolie x Kelpie and is now 3 years old. She’s the sweetest little soul you’ll ever meet. She is incredibly protective of those she loves and so very loyal. When we go to the dog park Kora hangs out with all the humans and not the dogs – she’s such a people person! Holidaying with Dogs Question 2: Do your dogs join you at work? What does a typical work day look like for you? The Dog Mum: Absolutely! One of the reasons we started The Dog Mum was to create a way for us (my hubby and I) to be at home with our dogs. For years we both worked for other organisations and hated leaving Boss and Kora at home each day by themselves. Boss and Kora now spend their day at The Dog Mum Head Quarters “overseeing” the printing and packing of every order. At 4pm every afternoon we all stop work and go on a big walk around our suburb – this is Boss and Kora’s favourite part of the day – ours too! Holidaying with Dogs Question 3: Tell us about the Dog Mum and the inspiration behind the business? The Dog Mum: The Dog Mum was literally inspired by Boss and Kora. One day I was online purchasing them some more doggie bandanas (because they can never have enough, right?) and I realised that just about everything was for Boss and Kora and nothing was for me… their dog mama! Being a dog mum was such a huge part of my identity and I wanted to create a way for all dog mums to be able to express this… and so began The Dog Mum. We started with just clothing and accessories for Dog Mums but now have something for just about every member of the family. 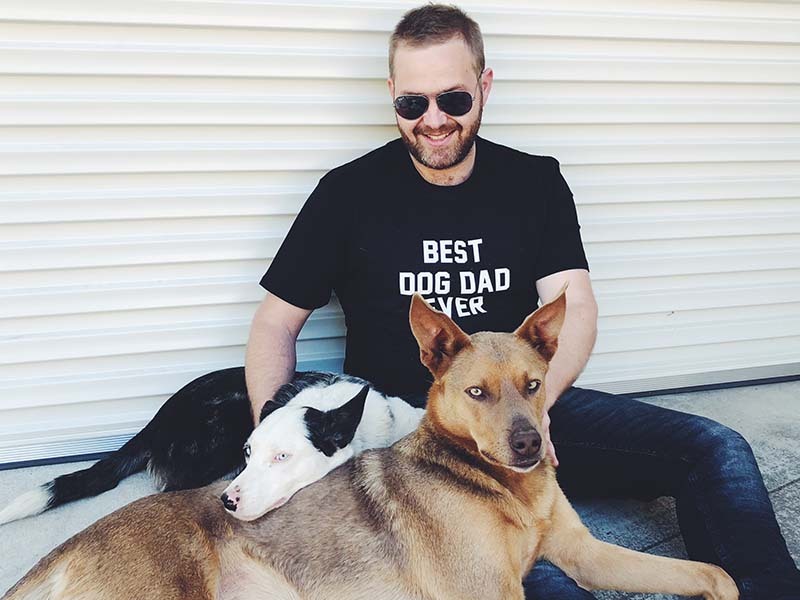 The Dog Mum is so much more than a business selling quality t-shirts and other clothing, we are a tribe of dog mums, dog dads, dog aunties, etc. who all have one amazing thing in common – our fur babies! Holidaying with Dogs Question 4: Do you travel with your dogs and where do you like to go? The Dog Mum: We absolutely do – holidays just aren’t the same without them! We have a few fave places to go but at the top of our list is camping at my parent’s farm in Maleny [Queensland] and our friend’s private property near Lamington. Boss and Kora have what we like to call ‘The Taj MaPup’ and it’s basically their very own doggie trailer which we tow behind our 4WD that becomes Boss and Kora’s mobile home while we are away camping – they love it! It’s funny, when we are getting ready to go away they can almost sense the anticipation of us going somewhere and Bossy always drags his favourite ropes and toys inside the house to ensure they are packed too! While away camping Boss and Kora really do live their best life. When in Maleny, they spend the whole time running around in the paddocks with Boss’ dad and brother (yep, he gets to see his actual family still), swimming in the dam, watching the cows, and being spoilt rotten by Grandma and Grandad. Holidaying with Dogs Question 5: Which Australian destination is on your holiday wishlist? The Dog Mum: Hmmm so many places we would love to visit. Top of our list though is a great beach front destination that is of course pet friendly and driving distance from Brisbane… so if you have any suggestions we are all ears! Boss and Kora absolutely love the beach! Holidaying with Dogs Question 6: What’s your top tip for travelling with dogs? The Dog Mum: If possible, always take their beds! It’s like bringing their favourite little piece of home which provides them with a sense of safety and security while away. Holidaying with Dogs Question 7: What’s next for The Dog Mum? 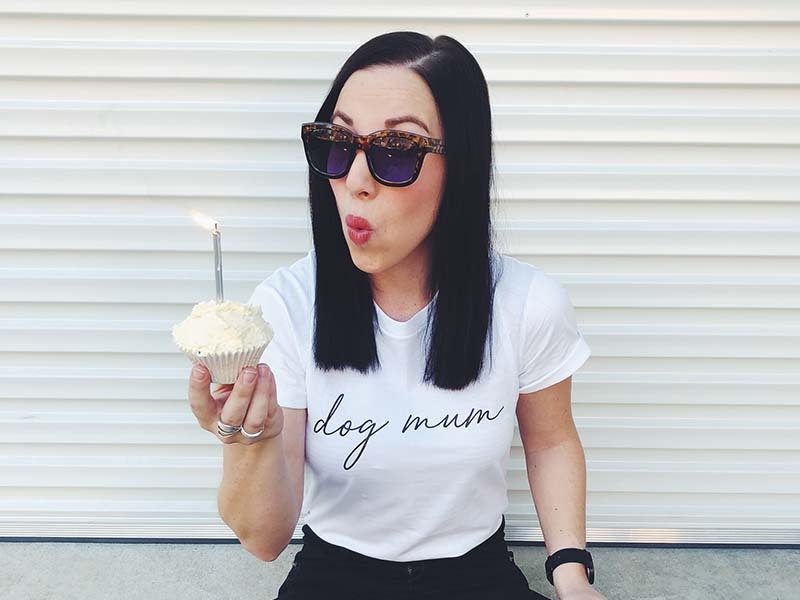 The Dog Mum: The Dog Mum is always evolving and growing and we have heaps of new releases coming soon… so watch this space! First thing you do in the morning: Hate to admit it, but probably look at my phone! If you could have one more dog tomorrow, what breed would it be? : A rescue! I’m a huge advocate for adopting. Do you have questions or comments for The Dog Mum? Comment below. You may also enjoy reading an Interview with GoGetMe, another of our fabulous dog loving friends.